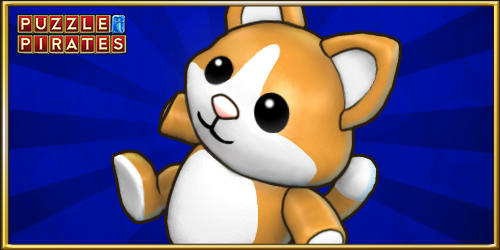 Own a subscription that runs through March, or make a purchase of $9.99 or more this month to receive a Cat Plushie to pet. These purrrrfect critters make great friends, or enemies, depending on their mood. Feelin’ lucky? Why not test yer skills in a few tournaments? Earn the March Seal o'Piracy by participatin’ in 4 tournaments! Update: It looks like the cats colors are the reverse of the image shown here. Fitting that the cats would have a mind of their own.